The eGR B2B Awards is the egaming service providers and B2B operator’s industry event of the year. It is now in its fifth year, rewards and celebrates the very best service providers in the online gaming industry, recognising the achievements of suppliers from across all the major egaming disciplines including betting and gaming software, networks, mobile, payments, recruitment, IT & infrastructure. The exclusive event will take place on Tuesday 16th June 2015, at The Pavilion at the Tower of London. Today, everyone is talking about IT in the cloud, but there still has to be a physical infrastructure on the back end on which to run the cloud. 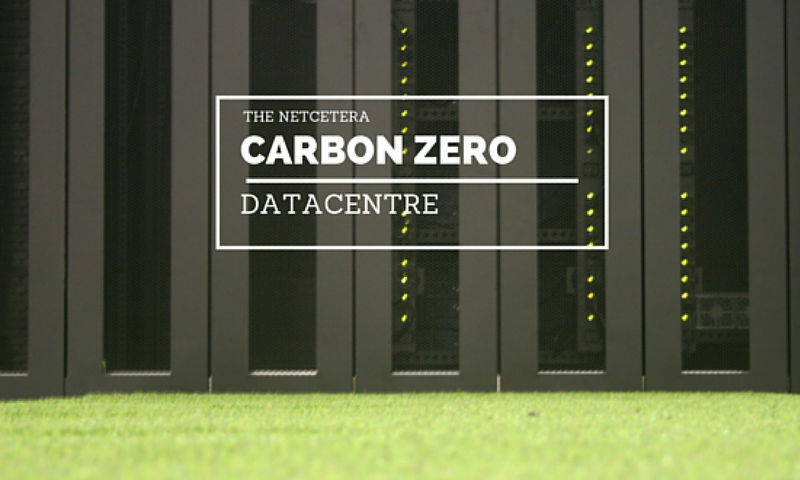 Netcetera are opening our doors of our state-of-the-art Datacentre to existing clients and potential customers. Come and see why you should be proud to host your services with us and if you don’t you can find out why you should. In touring our facility, you will see how the Datacentre is saving money by not just talking about being green but by implementing green initiatives that are truly cost effective. For example, In our latest expansion of our Datacentre we use cold aisle containment, which helps save money and reduces our carbon footprint. Aisle containment means our latest servers and racks are contained in enclosed aisles that allow us to keep the cold air where we need it in order to more effectively cool our Servers. That reduces cooling requirements for the air outside the aisles. 7) that’s it, you’re all set – you can log into your Netcetera Account, Netcetera CDN Service, check your usage hourly as it updates. CloudFlare makes it easy for any site to be as fast and secure as the Internet giants. CloudFlare, a web performance and security company, is excited to announce our partnership with Netcetera! If you haven’t heard about CloudFlare before, our value proposition is simple: we’ll make any website twice as fast and protect it from a broad range of web threats. Today, hundreds of thousands of websites—ranging from individual blogs to e-commerce sites to the websites of Fortune 500 companies to national governments—use CloudFlare to make their sites faster and more secure. We power more than 65 billion monthly page views—more than Amazon, Wikipedia, Twitter, Zynga, AOL, Apple, Bing, eBay, PayPal and Instagram combined—and over 25% of the Internet’s population regularly passes through our network. CloudFlare is designed to take a great hosting platform like Netcetera and make it even better. We run 23 data centers strategically located around the world. When you sign up for CloudFlare, we begin routing your traffic to the nearest data center. Over the course of 2011, CloudFlare identified a 700% increase in the number of distributed denial of service attacks (DDoS) we track on the Internet. As attacks like these increase, CloudFlare is stepping up to protect sites. Any website can deploy CloudFlare, regardless of your underlying platform. By integrating closely with Netcetera, we make the process of setting up CloudFlare “1 click easy” through your existing Netcetera control panel. We’ve kept the price as low as possible and plans offered through Netcetera are FREE. Moreover, we never charge you for bandwidth or storage, therefore saving you tons via reduced bandwidth costs. For site owners who would like to take advantage of CloudFlare’s advanced offerings, we also offer a ‘Pro’ tier of service for $20/month. The ‘Pro’ tier includes all of the ‘Free’ tier’s offerings, as well as extra features like SSL, full web application firewall and faster analytics. We’re proud that every day more than a thousand new sites, including some of the largest on the web, join the CloudFlare community. If you’re looking for a faster, safer website, you’ve got a good start with Netcetera but the next step is to join the CloudFlare community . Netcetera are proud to announce the launch of our new Managed Window Cloud Server 2012 to bring you a faster, more reliable, scalable and easy to use hosting solution! Whether you are a developer building Web applications or writing core server-based system services, our Managed Windows Cloud Servers can be easily and quickly configured and deployed to meet your specific requirements. Netcetera Managed Cloud Servers comes pre-installed with an easy to use web-based control panel called WebSitePanel. With WebsitePanel you can easily manage all your web sites, FTP accounts, EMail Accounts, databases and other resources from a single place. The Managed Windows Cloud Server is offered, for only £47.98/pm, with the Essential Server Management Pack, 1vCPU, 2GB, vRAM, 40GB HDD, 200GB Bandwidth, MS SQL 2012 Express and Smarter Tools Professional Bundle. The Managed Windows Cloud Server 2012 is built across multiple high performance Dell servers running Windows Server 2012 and Microsoft Hyper-V Dynamic Datacentre virtualisation technology and managed with Microsoft Systems Centre. Clients share the hardware resources of the servers but each client has their own operating system providing the application flexibility of a dedicated solution but with the cost savings of a cloud Hosting environment. Netcetera are proud to announce that we have been chosen by the Cloud Directory in the UK as one of the Top 20 Most Popular Cloud Companies, for the month of November. Netcetera was formed in 1996 and today is one of Europe’s leading Web Hosting service providers, offering a full range of products. Netcetera hosted cloud infrastructure provides you with an agile infrastructure delivered from their secure, highly available data centers so you can respond quickly to your customers’ business needs. With Netcetera cloud services you focus on your business rather than your IT infrastructure. Netcetera Cloud Servers are powered by Microsoft Windows Server 2008 R2 Hyper-V and System Centre – and perform and behave exactly like a stand-alone server for both users and applications. Netcetera provide solutions to enable High Availability (HA) setups in a Cloud Hosted Infrastructure. Essentially HA means having redundancy at every level in your setup and an ability for a point of failure to be mitigated by the setup of your infrastructure, as well as the capability to add new nodes, or maintain/upgrade existing nodes without impacting your service availability. Netcetera Cloud Desktops provide fully functional, personalizable, and persistent desktops without the cost and complexity associated with obtaining hardware, configuring operating systems, or building Virtual Desktop Infrastructures (VDI). CloudCopy is an online backup software. It sets up automatic and scheduled backups, performs incremental backups, and restores data reliably via a web browser. It does backups of small office servers to the cloud including Microsoft Exchange and MS SQL Server online backup. Netcetera are proud to announce that we have been voted by the Cloud Directory in the UK as one of the Top 20 Most Popular Cloud Hosting, for the month of August. Q5 Cloud Computing – What is the Future of Cloud Services? After analysing what Cloud computing is, the advantages as well as differences from Dedicated Servers, we should say something about how Cloud Computing will evolve in the future. The convergence of mobile technology, cloud and social networking will accelerate, and by the end of 2012, cloud apps that are not “socially aware” and without mobile support will be looked down on, as “legacy apps”. We will see more and more application vendors bringing feature parity into their apps for different mobile applications. Towards the end of 2012, mobile web apps will dominate over native apps. After the past few years of building underlying platforms and placing data centers around the world, it’s time for the cloud service providers to face-off on higher levels of services – competition will be around Quality of Service, but also managed cloud offerings and professional services. Clouds are becoming more prevalent with more options, configurations, and services are cluttering the marketplace. To that end, companies will need to understand these options and how it can benefit their organisations. Cloud companies will further develop their own professional services in order to assist companies navigate and design their custom solutions (unless of course these cloud providers are extremely commoditised and only offer DIY solutions). Consultancies will continue to evolve and new ones form, leveraging and implementing the best practices of multiple cloud services. Complex networking will emerge as a critical success factor: Somewhat in the background till now, the need to provide full configurability for networking in the hybrid model is rising in the list of cloud “must-haves.” Many early cloud service models have flattened the network and prevented enterprise control and flexibility. New and better options will continue to emerge. After spending the last few years testing the public cloud for point projects, enterprise users will start to utilise private cloud for mission critical and data-sensitive applications. Heavy virtualisation users will start augmenting high-availability virtual infrastructure by creating private clouds to reap the benefits of resource pooling, self-service and elasticity on top of their existing virtual infrastructure. Cloud Hosted DesktopsWhat’s good for the server, may be good for the desktop. With the success of Google Docs, DropBox and other mobile productivity tools it sets the stage for greater virtual desktop adoption. Look for more virtual desktop infrastructure (VDI) solutions paired with data-as-a-service allowing users to take their desktop computing everywhere (think iPad) without requiring a wholesale migration. Private Cloud solutions will continue to lead the way as organisations continue to look for further efficiencies and increased agility to complement their initial server virtualisation investments, combined with deploying “capable” applications and some new workloads to public cloud services. Netcetera offer Cloud Solutions from as little as £14.99/pm for Windows and £14.00/pm for Linux. Q1 – What is Cloud Computing? Q2 – What are Cloud Services? Q3 – What are the Benefits of Cloud Computing? Q4 – When Should I Use a Cloud Server rather than a Dedicated Server? Q4 Cloud Computing – Cloud Server or Dedicated Server? Cloud servers and dedicated servers both have their own advantages. The differences between a Dedicated Server vs Cloud Computing are significant and the selection between the two should be based upon individual needs. For those who are expanding into a web-based market, one should research the options carefully before making a commitment. The major difference between the two is that a dedicated server is a physical piece of equipment housed in a room somewhere. Cloud computing, on the other hand, is a virtual server which allows customization, load balancing, and storage. A dedicated server is a structure that works on a specified website that has been rented from a host. It has the advantage of providing services without the competition generally associated when multiple servers share a single site. Additionally, the monthly fee is always the same, regardless of how much navigation or space is used. Cloud computing, on the other hand, is capable of allowing for spikes in traffic, offers a broader range of exposure, and provides many amenities not available in the other option. Although it is a shared server, it can balance a higher load, easily expand websites based on individual needs, and provide hardware upgrades on a regular basis. Cloud servers enable vertical scaling by selecting the desired resources as and when required. Cloud servers also give you the capacity to add or remove memory, computing power, and hard drive space within a short span of time. However with dedicated servers, you are able to re size your hosting platform but it may take some time to add or remove the resources; this is because it involves the tasks like establishing a new server, upgrading software, and installing new software. Most people seem to like the idea that in the event of a Dedicated Server located in a datacentre failing, someone will immediately run to fix it. The difference with the Cloud is that its’ providers have many data centres located all over the world, so if your instance goes down, or even an entire datacentre goes down, you simply start up a new instance somewhere else. The problem is solved in a matter of minutes. It is very easy to deploy a ready to use server in the cloud server framework. All that you have to do is select a package and the software. Your server will be configured within a short span of time, and it will be ready for use. In case of dedicated server, everything has to be done manually such as selecting and installing the hardware and installing the operating system. This is the major point of difference between cloud servers and dedicated servers. In terms of cloud server hosting, the payment only has to made for the resources used and no extra payment is involved. Whereas in terms of dedicated server hosting, payment has to be made for all the resources that are provided even if not fully utilised. Q5 – What is the Future of Cloud Services? Q3 Cloud Computing – What are the Benefits of Cloud Computing? There are lots of benefits in using cloud computing for companies. Cloud computing means that staff can access the files and data that they need even when they’re working remotely and/or outside office hours. As long as they can get on the Internet, staff can access information from home, on the road, from clients’ offices or even from a smartphone such as a BlackBerry or iPhone. Staff can also work collaboratively on files and documents, even when they’re not physically together. Documents can simultaneously be viewed and edited from multiple locations. Cloud computing is often cheaper and less labour-intensive for companies too. There is no need to buy and install expensive software because it’s already installed online remotely and you run it from there, not to mention the fact that many cloud computing applications are offered free of charge. The need to pay for extensive disk space is also removed. With cloud computing, you subscribe to the software, rather than buying it outright. This means that you only need to pay for it when you need it, and it also offers flexibility, in that it can be quickly and easily scaled up and down according to demand. This can be particularly advantageous when there are temporary peaks in demand, such as at Christmas or in the summer, for example. IT personnel no longer need to worry about keeping software up to date. There is no need for IT to worry about paying for your future updates in terms of software and hardware. Cloud computing can be very quick and easy to set up and run. Consider, for example, how quickly you can set up a Gmail or Hotmail account and start emailing – it takes minutes and all you need is a computer and the Internet. Downloading and installing software, on the other hand, takes much longer. A major advantage of using cloud computing for many companies is that because it’s online, it offers virtually unlimited storage compared to server and hard drive limits. Needing more storage space does not cause issues with server upgrades and equipment – usually all you need to do is increase your monthly fee slightly for more data storage. One of the benefits of a private cloud deployment is that you can get automatic failover between hardware platforms and disaster recovery services, to bring up your server set in a separate data center should your primary data center experience an outage.